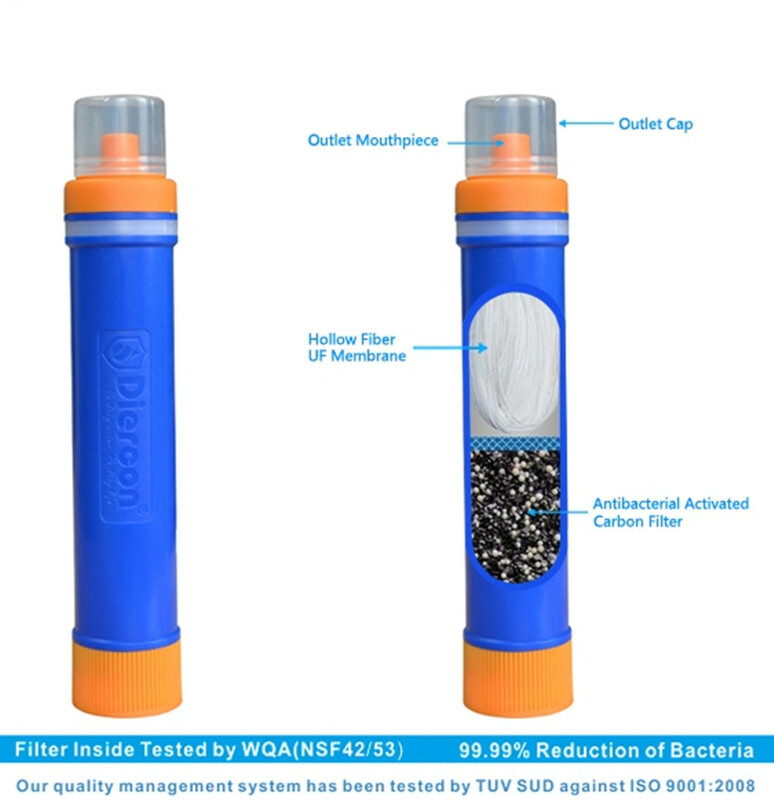 It can filter water from lakes, rivers and other outdoor freshwater. 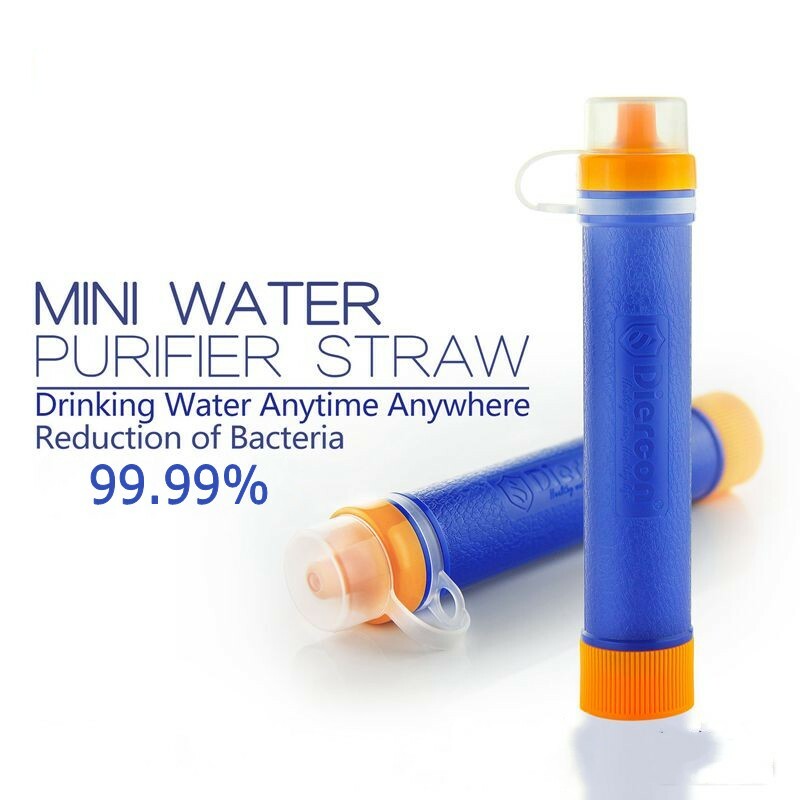 Outdoor mini water filter drinking straw, bacteria filtration rate is up to 99.99%. Mini and portable. The best choice of hiking, climbing, expedition and emergency rescue! 1. Dustproof water nozzle cap: a convenient design to prevent purified water from being re-contaminated. 2. Water nozzle: it is made from food grade materials. 3. Filter: the raw materials will be inspected casually and strictly, the filter precision is 0.01 microns. 4. 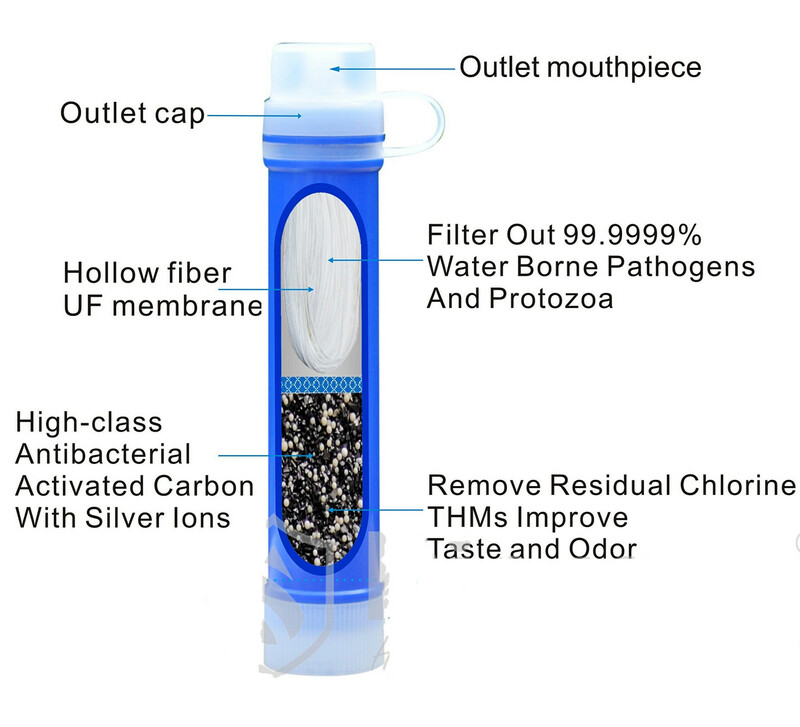 Activated carbon filter: silver loaded activated carbon can remove the odor, 99.99% of common pathogenic bacteria, such as colibacillus and more, soften water, remove heavy metal ion and VOC, residual chlorine and other organic contaminants. 5. 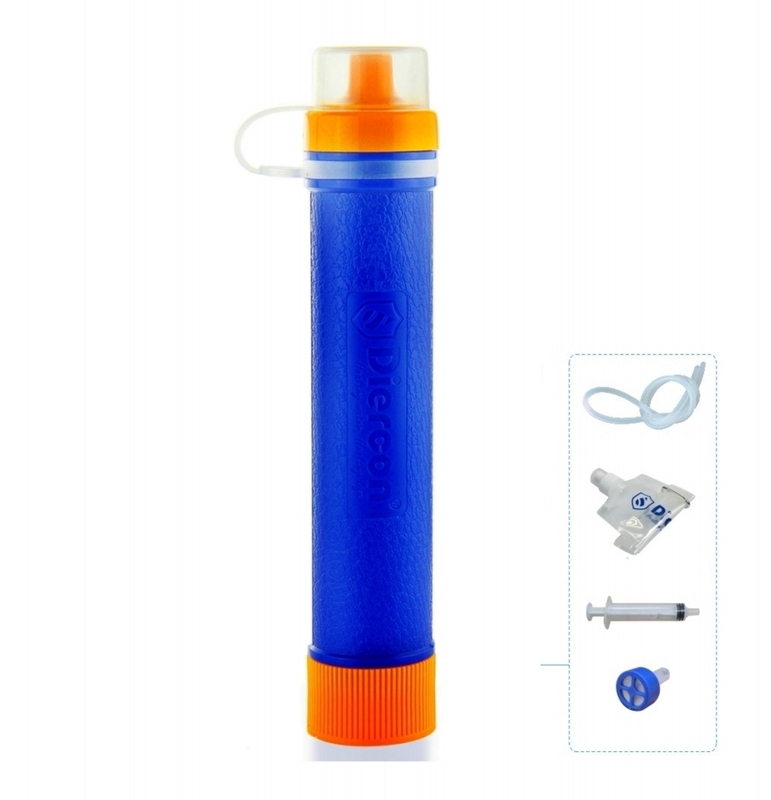 Universal water inflow adapter cap: this unique cap thread design enables it to be connected with any bottle with a standard interface. 6. Unique hand pull-ring design, a combination usage of hand pull-ring and pull-ring button enables the suction pipe to be either pulled or hanged, makes it more portable. 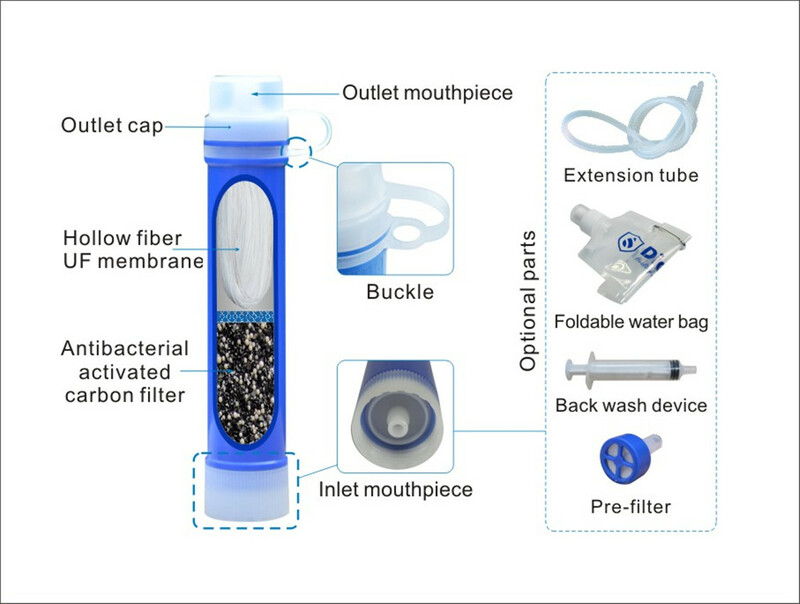 Product function: filter out bacteria, protozoa, cysts, algae, odor, heavy metals ion and organic pollutants. Applicable water quality: a variety of fresh water, such as water in rivers and lakes, snow, glaciers and groundwater.